There is no softer or safer swab. Cotton Swabs Unilever Active Ingredients: 100% Pure Cotton Uses: Perfect for on-the-go. 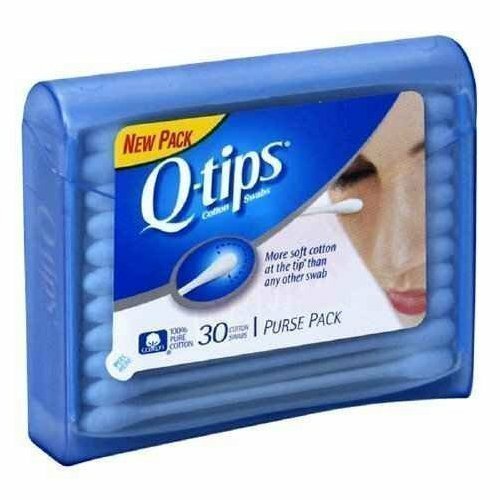 With more cotton at the tip* than any other swab, Q-tips cotton swabs are the ultimate beauty tool. Perfect for safely and precisely applying, blending, touching up and removing cosmetics. Try them for a variety of beauty and personal care uses. *From the end of the stick to the top of the swab. Do not insert swab into ear canal. Entering the ear canal could cause injury. If used to clean ears, stroke swab gently around the outer surface of the ear only. Keep out of reach of children.